I know, I know, I’ve heard it before. A new technology comes along, and it promises to be the next big thing. Consumers and businesses buy it, and what happens? It fails to live up to the hype. In my opinion, almost every iPhone release over the past five years has been that way. Sure there were some cool new features, but overall it’s not something I’d say was game changing. One technology that does promise to live up to the hype is 802.11ax, the next standard for wireless LANs. I say that because this next generation of Wi-Fi was engineered for the world we live in where everything is connected and there’s an assumption that upload and download traffic will be equivalent. Previous generations of Wi-Fi assumed more casual use and that there would be far more downloading of information than uploading. I agree that 802.11ac made things somewhat faster, but it was a faster version of something that was designed with old-school assumptions in mind. I’m sure everyone reading this has been in a situation where you’ve been at a conference center, stadium or in another public space, and everything is great. Then the keynote or concert starts or something else happens to get tens of thousands of people SnapChatting, tweeting, Facebooking (or SnapFacing if your New England Patriots Coach Bill Belichick), and things come to a crawl. 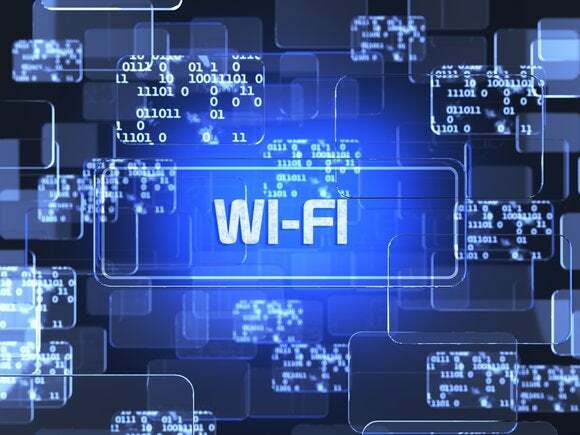 Before we go any further, it's good to note that the Wi-Fi Alliance has issued new nams for 802.11ac and 802.11ax that are intended to make it simpler for the average person to understand which specfication is being talked about. The alliance calls 802.11ac Wi-Fi 5 and calls 802.11ax Wi-Fi 6. The IEEE, which came up with the 802.11 scheme hasn't adopted the new terms. The problem with Wi-Fi isn’t always the speed of the system. 802.11ac wave 2 gets us to or over the Gigabit barrier, which should be plenty of bandwidth for most people. The bigger problem with Wi-Fi is congestion and how current Wi-Fi handles lots of people trying to do wireless things and overcrowding the network. The ax standard solves these problems and others by completely redesigning how Wi-Fi works and taking some best practices from LTE. Ax will be anywhere from 4x to 10x faster than existing Wi-Fi, but the wider and multiple channels greatly increase throughput. For example, if one assumes the speed is increased by 4x with 160 MHz channels, the speed of a single 802.11ax stream will be 3.5Gbps. The equivalent 802.11ac connection will be 866 Mbps. A 4x4 MIMO environment would result in a total capacity of about 14 Gbps. A client device that supported two or three streams would easily top 1 Gbps or much more. If one knocked the channel width down to 40 MHz, which could happen in crowded areas like stadiums or college dorms, a single .11ax stream would be about 800 Mbps for a total capacity of 3.2 Gbps. Regardless of the channel size, 802.11ax will provide a huge boost in speed and total capacity. One of the big advancements in LTE is something called orthogonal frequency division multiple access (ODMFA), which is an alphabet soup way of saying it does frequency division multiplexing. With previous versions of Wi-Fi, channels were held open until the data transmission had finished. Think of a line at a bank with only one teller where people have to queue up. MU-MIMO means there can be four tellers and four lines, but the people still need to wait for the transaction ahead of them is complete. With OFDMA, each channel is chopped up into hundreds of smaller sub-channels, each with a different frequency. The signals are then turned orthogonally (at right angles) so they can be stacked on top of each other and de-multiplexed. With the bank analogy, imagine a teller being able to handle multiple customers when they are free. So customer one hands the teller a check and while that person is signing the check, the teller deals with the next customer, etc. The use of OFDMA means up to 30 clients can share each channel instead of having to take turns broadcasting and listening on each. From a user perspective, the network will seem much less congested than with 802.11ac. Another benefit is that the 2.4 GHz and 5 GHz bands can be combined creating even more channels for data. The ax specification also includes something called QAM (quadrature amplitude modulation) encoding, which allows for more data to be transmitted per packet.